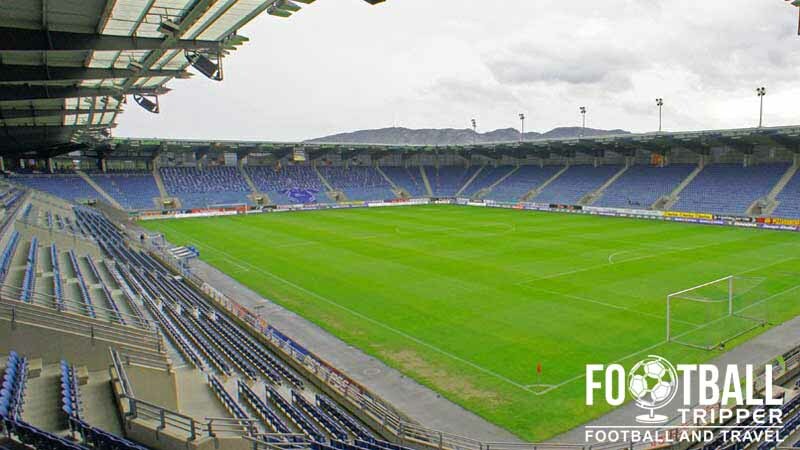 Viking Stadion is 2004 built football stadium located in the Norwegian city of Stavanger which is the third-largest metropolitan area in the country. 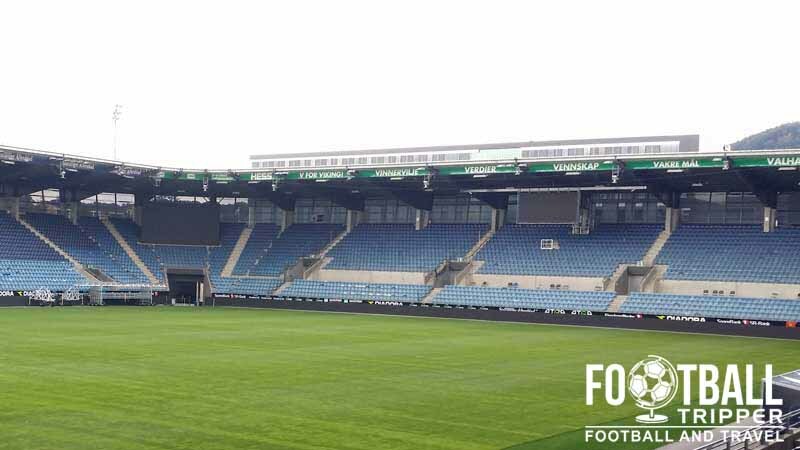 Built at an estimated cost of €20 million, the 16,600 capacity ground is home to Tippeligaen side Viking Fotballklubb. Viking Stadium first opened on 1st May 2004 after a construction period of approximately 17 months. Designed by NBBJ Design and LINK signatur AS, the stadium cost a total of 210 million NOK to build however the land on which it was built was gifted to Viking FK by the local council which effectively wiped off 50 million NOK from the total building cost. 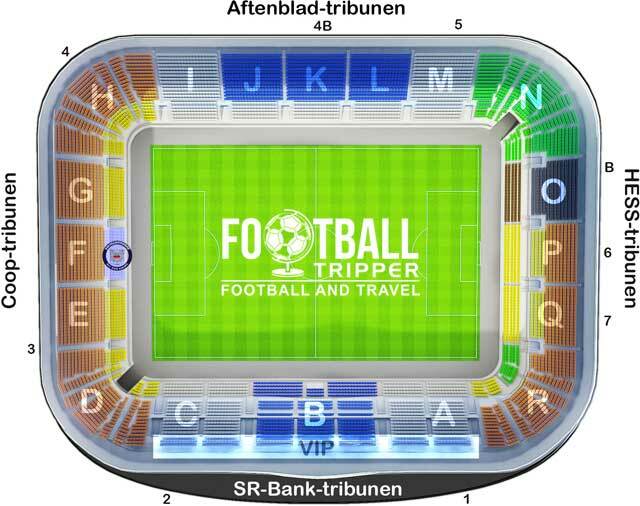 The record attendance of 16,600 was set on 24th June during the 2007 Tippeligaen season in a match against occasional title rivals Brann. With plans to eventually expand the ground to 22,000 this record could well be beaten in the long term, however as of 2012 further expansion has not been found to be viable. Viking Stadion is comprised of four stands: North, East, South and West. Away fans (Bortesupportere) appear to be housed within Sector O of the Hess-tribunen which if our calculations are correct is located within the south-west corner behind the goal. 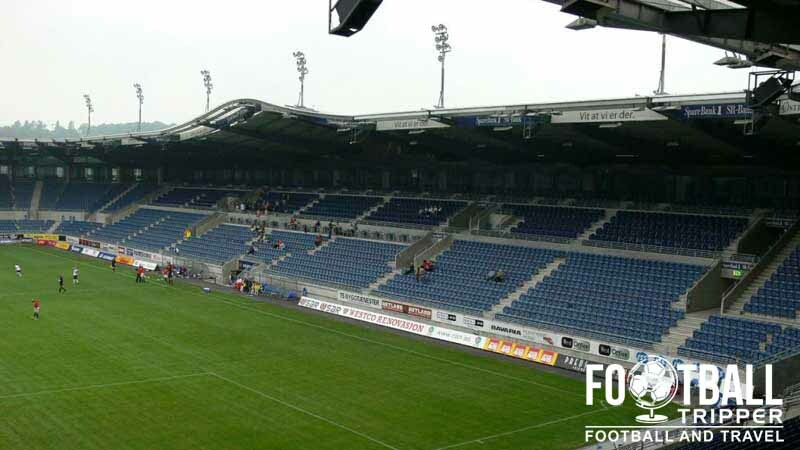 Viking FK operate a club shop at the stadium in addition to their own online store which is accessible from the official website. On matchdays the Viking Store is open from 2.00 pm until kick-off and then again for 30 minutes after the full time whistle. It doesn’t appear as if any tours are available of the facilities at the mighty Viking Stadion. Tickets to see the Vikings play at home can be purchased online in advance or from the ticket booths at the stadium which typically open for up to 90 minutes before kick-off. Please refer to the above seating plan to see exactly where the sections correspond to see within the ground. 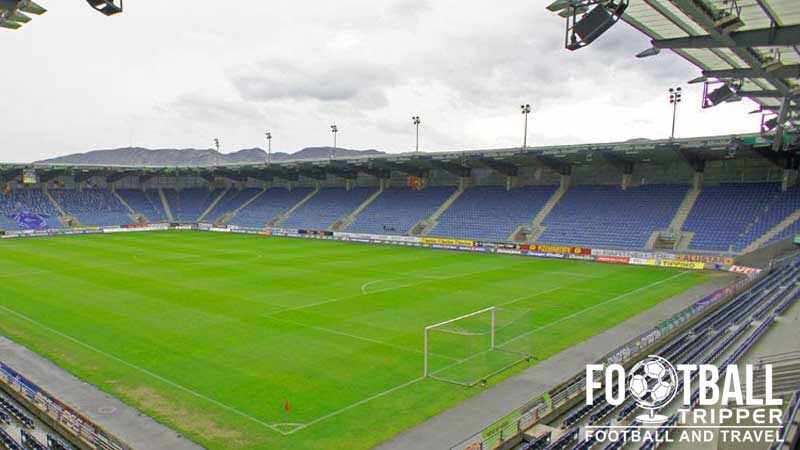 Viking Stadion is situated out of town within the area of Jåttåvågen which is 7.5 km south of Stavanger city centre. Walking is likely to take the length of the match itself so most Football Trippers instead take the train. There are several medium sized car parks dotted around Viking Stadion and Vitusapotek Hinna Park. The stadium is served by Jåttåvågveien Station which is three stops away from Stavanger Central Station and very scenic as the track stretches around the coast. A look at Jattavagen Railway Station’s main platform. The bus stop at the stadium is simply called “Stadionparken” and is served by bus number 11 from Stavanger. Stavanger Airport is located in Sola 13.5 km south-west of the city centre and less than 10 km from Viking Stadion. Ground transportation is in the form of coaches as the airport doesn’t sit on the railway line. You won’t find any accommodation options at Viking Stadium which means you will have to hop on the train back towards Stavanger Central. Here there is the familiar names of Park Inn by Radisson, Comfort Hotel and Best Western amongst many other places to stay.